The 3M ProPak-FX-EZ-FLO is a Type 2 open circuit, self-contained, compressed air breathing apparatus. 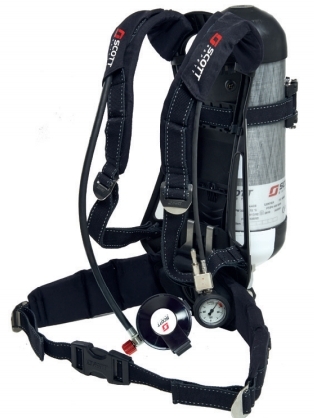 It consists of a back plate, padded carrying harness and pneumatic system, containing a cylinder connector, reducer, pressure gauge, whistle and demand valve. The ProPak-FX-EZ-FLO is specifi cally designed as a professional fi re fi ghting SCBA, but is also suitable for providing respiratory protection in any IDLH environment.